The Flash episode 16 picked up from where we last left on, The Flash travelling back in time. Clearly Barry hasn’t watched enough time travel movies to know that, you don’t mess with time! So let’s discuss The Flash episode 16! In The Flash episode 15, aka the old timeline, Wells had killed Cisco, and Barry and Iris had shared a passionate kiss on the brink of near mass destruction (aww). Of course after Barry’s little time travelling adventure, none of that happened anymore. Instead Barry stops the Weather Wizard before he could do any harm, and by doing that, changes the future that once was. Which is probably not such a bad thing, because it means no dead Cisco yayy! What was so great about The Flash episode 16, was the parallels it shared with episode 15. The scene between Cisco and Wells, where Wells tells Cisco he is like a son to him, is especially emotional, because the last time we saw that scene, well you know…Wells put his hand in Cisco’s chest and killed him. So the relationship between Wells and Cisco is all good again, but what about Wells and Barry? In episode 15, Barry was fully on Wells’ side, believing that Wells was the greatest person he ever met. 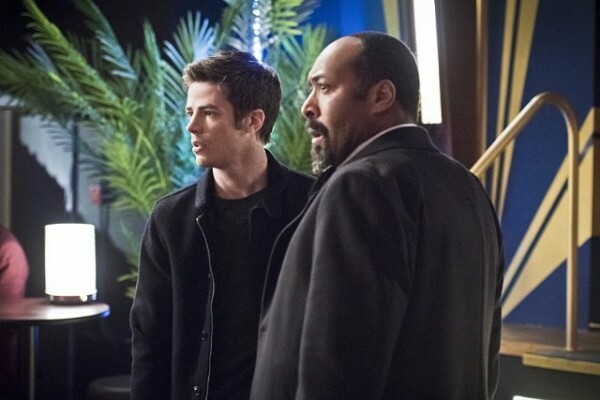 However over the past few episodes there have been moments of doubt in Barry’s mind about Wells’ intentions, and that all came to a climax in The Flash episode 16, when Barry finally realises, Wells may not be who he says he is. Watching the growing relationship between Barry and Wells has been so great, knowing that the demise of their beautiful relationship is soon to come. Wells of course doesn’t know Barry is on to him yet, so it will be interesting to see Barry and West slowly uncover the truth about Wells. There’s no word if Wells will be a series regular in season 2 yet, but I’m assuming we will have a Slade Wilson type situation here, where Wells will always still be in the background. Moving on from The Flash’s new foe, he also got a new friend today…well kinda. Captain Cold! I love Captain Cold, and his team of misfit Rogues. Captain Cold is generally a man of his word, so I doubt think he will be revealing The Flash’s identity to anyone soon. This new relationship between Cold and Flash will definitely be leading to a lot of fun cat and mouse moments in the rest of season one. As many of you know, Captain Cold will be joining The Flash/Arrow spin-off, team-up TV show, which will be airing mid-next year. So we know he will be sticking around. The question is, will he be a good guy, that’s part of the superhero team in the spin-off show, or the antagonist? In the New 52 comics right now, Captain Cold is more of a good guy. He wants to be a better person, and likes being a hero. In fact he recently fought alongside Wonder Woman and the rest of the Justice League! 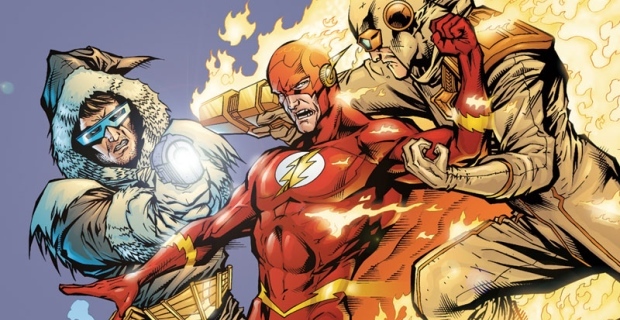 So I wouldn’t be surprised if we see the path to redemption of Captain Cold in The Flash. However, like many of the Rogues, he will probably find himself going back to the way he normally is, or at least still be pretty dodgy, even if he turns into more of a hero. The Flash episode 17 will be introducing us to Luke Skywalker The Joker The Trickster, played by Mark Hamill. So Barry may be a little too busy dealing with him, to be looking into the past of Harrison Wells. But with Iris’ boss now missing, I’m sure Iris will be looking into what happened. However in the new timeline, Iris’ boss never got the chance to tell her about his suspicions about Wells (because she was too busy dealing with her boy dramas), so it may take a while for her to figure out the truth about Wells. Anyways overall The Flash episode 16 was another great episode, that still managed to keep things exciting even after last week’s epic episode. 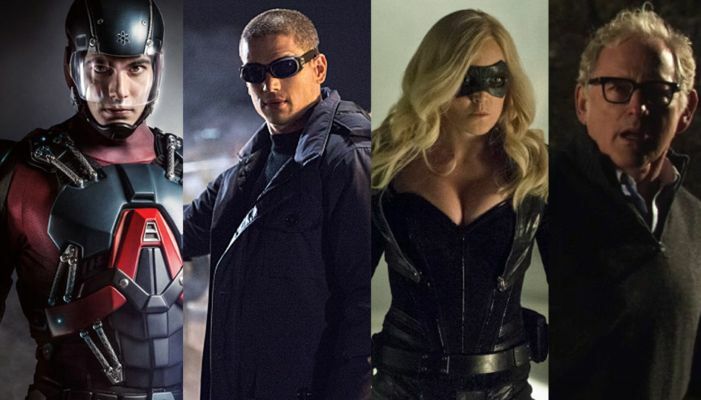 Things seem to be moving along nicely, with Barry finally looking into Wells, and Captain Cold nicely paving his way into becoming one of the best Flash rogues.